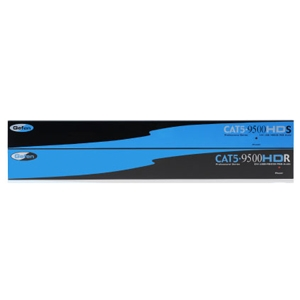 The The CAT5-9500HD sends your digital video display plus accompanying peripherals away from your computer so you can operate in silence or locate your CPU in a safe and secure location. sends your digital video display plus accompanying peripherals away from your computer so you can operate in silence or locate your CPU in a safe and secure location. The CAT5-9500HD supports one DVI digital display, four USB devices and/or PS/2 keyboard/mouse, RS-232 for serial communication systems and two audio devices.